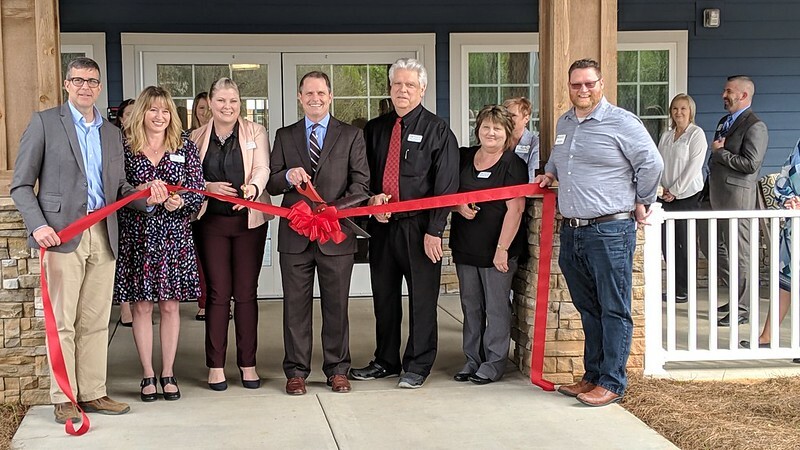 Davie Health & Rehabilitation Center celebrated its grand opening with a ribbon-cutting ceremony and the opportunity for area residents to explore the new 59,000 square foot, 108-bed state-of-the-art skilled-nursing facility on Madison Road in Mocksville. Owned and operated by Saber Healthcare, the facility replaces Autumn Care of Mocksville which the company purchased in March 2016. The old 33,000 square foot facility on Howard Street was built in several phases beginning in the 1950s and continuing through the early 1990s. The new location provides an expanded rehabilitation center, more private rooms with private bathrooms, and an indoor courtyard where residents can visit together or with their guests. The new facility also allows the company to offer outpatient therapy which will be accessed through a separate entrance. Davie Health and Rehabilitation currently employs 102 full-time, part-time, and PRN employees, and is still hiring, particularly nurses and CNAs. Interested in a job? Stop by the facility and fill out an application.